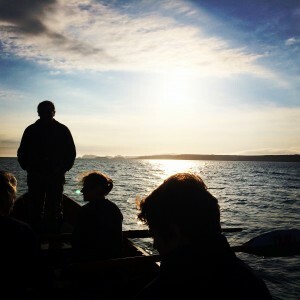 Home » Accommodation» Views from the bay. Over the Easter weekend the weather gods decided that Caerfai should get some lovely sun and calm seas to allow for some decent rowing in the bay. We row weekly most of the year, weather permitting, but usually out from Porthgain harbour (7 miles up the coast) or Goodwick (dodging the Fishguard/Rosslare ferry). 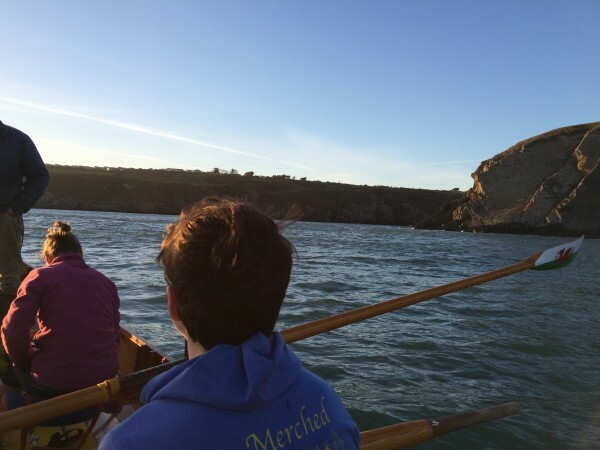 The ‘we’ is Porthgain rowing club and we row in wooden 32 ft, 6 oared Cornish pilot gig boats. 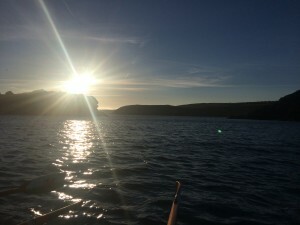 It’s always great to get out on the water but its especially fun to row past your home and tell family to look out the kitchen window if they’d like to check on how we are getting on! 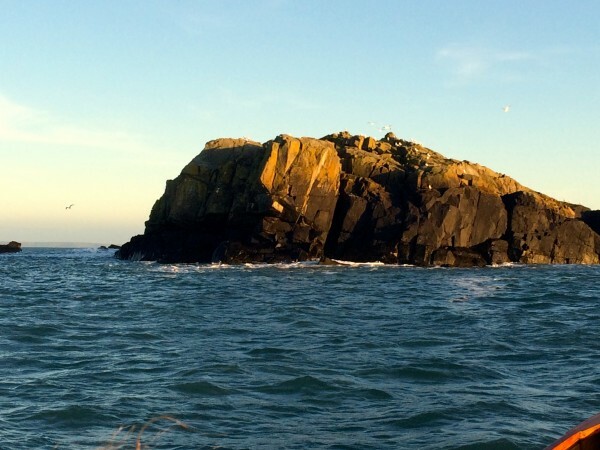 The coastline surrounding the bay is (in my biased opinion) spectacular and I would definitely recommend taking a boat trip if you are visiting Caerfai. Here are some photos to prove it!